The fear of poison, known as Iophobia, is the irrational fear that you will be poisoned. The word Iophobia comes from the Greek word io which means poison or rust and the Greek word phobia which means fear. If you have a fear of being exposed to poison or toxic substances, that seems reasonable given the damage they can do to your health. 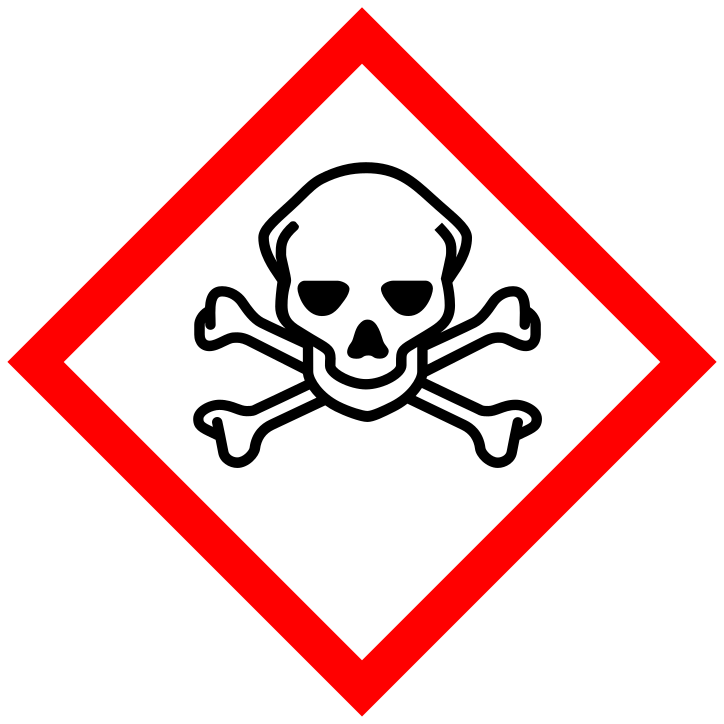 Yet at a certain point, a general wariness about toxic substance and poisons can develop into a full-blown phobia, where it may begin to have serious consequences for a person’s lifestyle. What Is Iophobia (Or Toxiphobia)? The fear of poisons or of being poisoned is referred to as either iophobia or toxiphobia. As with other phobias, a fear of poison or being poisoned only becomes a phobia when it begins actively interfering with a person’s ability to live a normal life. When the fear becomes irrational and highly distressing enough it is labeled a phobia. In extreme cases of iophobia or toxiphobia, a person may refuse to eat or drink any substance they have not prepared themselves. They may refuse to accept drinks or food prepared even by close friends. The word comes from both the word phobia, a Greek word meaning fear, and io, Greek for poison or rust. As with many phobias, those experiencing iophobia often have symptoms related to anxiety or panic attacks. Most psychologists believe that the development of phobias can be explained by inherent predispositions, like genetic or hereditary factors, interacting with the environment via exposure to a traumatic event. The traumatic event often occurs at an early age (though not always), and certain stimuli associated with the event can trigger the experience of anxiety. So just how likely is one to be poisoned? How worried should one really be about being exposed to toxic or poisonous compounds? What kind of damage can occur if one is exposed to poisons? Fear of being poisoned often manifests itself as a worry over being intentionally poisoned with a deadly substance. There are some poisons which are extremely toxic and can kill in very small doses. Poisons like ricin, a neurotoxin called botulinum produced by the bacterium Clostridium botulinum, amatoxin (which comes from Amanita mushrooms), strychnine, and cyanide are all lethal at very low doses. These substances also aren’t very common in daily life, so it’s unlikely that anyone would be poisoned by them. One could be exposed to botulinum through improperly prepared meats, but as long as the meat is cooked properly it’s unlikely one would be exposed to it. Beyond this, it’s unlikely that one would be intentionally exposed to these poisons by another person. Murder is very uncommon, despite what TV crime shows often portray. In 2015, there were only 15,969 murders in the US. This may seem like a lot, but consider that the US population is around 325.8 million. The homicide rate is approximately 5.3 out of 100,000, meaning that for every 100,000 people about 5 people are murdered. Even if one was going to be murdered, poison isn’t likely to be used. Poison was the chosen murder weapon in only 7 murders committed in 2015. Poisons can be found in many different common household items, and in this regard, it is important to be careful about being exposed to poisonous compounds. Poisons can be found in the garage, the kitchen, the bathroom, or the living room. In the garage products like antifreeze, paints, batteries, motor oil and windshield washing fluid can all contain dangerous toxic compounds like arsenic. Bathrooms and laundry rooms can contain poisonous compounds like trisodium phosphate in all-purpose cleaners, bleach, insecticides, and detergents. Toxic chemicals like sodium hypochlorite or hydrochloric acid can also be found in the kitchen in dishwashing detergent, sink or oven cleaners, and window or glass cleaners. Bathrooms can often contain dangerous poisons within toilet bowl cleaners and drain cleaners. Living rooms can be home to various rug or upholstery cleaners and furniture polish which contain dangerous toxins like ammonium hydroxide, formaldehyde, and ammonia. If a person accidentally ingests any of these chemicals it is important to contact poison control immediately and follow the instructions to minimize potential damage. 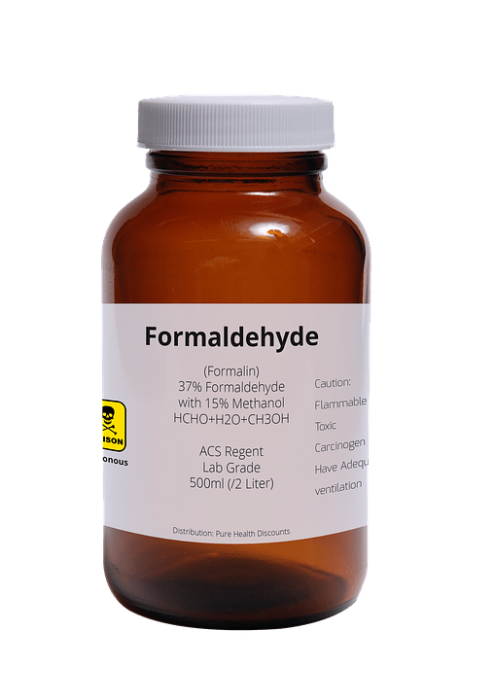 Most chemical cleaners and other potentially toxic substances will have a section on their label with instructions regarding what to do if the product is ingested. It’s also very important to follow all the other instructions for proper use specified on the label. If the product says to use it in a well-ventilated area, this is to minimize toxic fumes and the warning should be heeded. When cleaning with potentially dangerous compounds, use proper safety gear like eye protection and gloves. According to data collected by the US Poison Control Centers, there were over 2 million cases of poison exposure in the US in 2016. The vast majority of these exposure cases, around 85%, were nontoxic or minimally toxic, meaning that there wasn’t a huge negative effect associated with them. That said, around 5.3% of exposures had severe consequences including paralysis or death. Most unintentional exposures to poisonous substances happen in children under the age of 6. Children are at special risk for exposure to harmful poisons because they don’t know not to ingest them and because they are smaller they tend to ingest more poison relative to their body size than adults do. Only a trained medical professional can evaluate symptoms of a possible phobia and determine whether or not the symptoms are indeed the result of a phobia. In terms of treatment for iophobia or toxiphibia, cognitive behavioral therapy might be used to help the sufferer reframe their fears. They may be given strategies to help them relax when anxiety starts, such as meditation. Other forms of treatment include group therapy or talk therapy. Exposure therapy, where a person is exposed to increasing amounts of their phobia over time, is often used to help individuals overcome their phobia. For instance, a person with toxiphobia could eat progressively larger amounts of food prepared by another person, coming to realize eating food they haven’t prepared themselves won’t harm them. A trained mental health professional will be able to go over an individual’s case and decide on the best form of therapy for the phobia.